Birding.com named the Elkhorn Slough National Estuarine Reserve "one of the top 3 Christmas Bird count areas" and it’s recognized as one of the top 10 birding destinations in the nation. It’s home to 340 bird species including pelicans, herons, and egrets, as well as countless fish, sharks, crabs, sea lions and otters. Avid birdwatchers will also appreciate Carmel River State Beach&apos;s eastern marsh, a protected sanctuary for kites, harriers, swallows, hawks, mallards, terns, and other birds. The Marina Dunes Open Space Preserve, is an endangered species habitat for Smith&apos;s blue butterfly, the snowy plover and others. Several specialist tour guides conduct guided birding tours including the Elkhorn Slough Safari, a unique tour of the slough by boat! 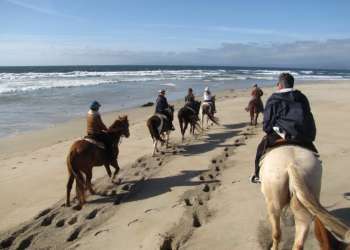 Other tours explore the habitats of southern Monterey County, the Pinnacles National Park and the Point Lobos State Reserve.